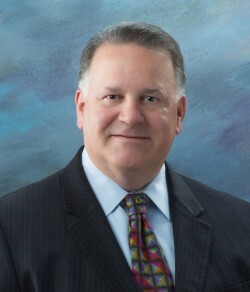 William “Bill” C. Sproull is president and CEO of the Richardson Chamber of Commerce, Tech Titans (formerly the Metroplex Technology Business Council-MTBC) and the Richardson Economic Development Partnership (REDP). His leadership with these organizations involves an intricate and delicate knowledge of economic development; technology trends; educational institutions; media savvy; local, state and federal government policy and legislation; along with the behind-the-scenes politics of managing internal and external stateholders for organizations that have a large influence within the North Texas region. Under Bill’s leadership, both the Richardson Chamber and the REDP have achieved the highest accreditations possible in their industry, while Tech Titans is the largest tech trade association in the Southwest. Previously he held the senior economic development position at the Greater Dallas Chamber, the McKinney Economic Development Corporation and at the Economic Development Corporation of Kansas City, Missouri. Sproull is a graduate of Baylor University, where he received a BA degree with a double major in economics and political science. Sproull was elected by his peers as 2014 Chairman of the Board of the International Economic Development Council, the largest professional association in the world for economic developers. He also serves on the University of Texas at Dallas Development Board, the North Texas Commission, and the Board of the Technology Councils of North America. He was appointed by Texas Governor Rick Perry in 2006 to the Board of the Texas Emerging Technology Fund, a half-billion dollar investment fund, which he later chaired. Sproull’s recent industry recruitment success is evidenced by the 2013 expansion by State Farm to Richardson in the largest real estate deal in North Texas history, a 1.5 million square foot, 7,000 employee regional headquarters. In addition, the editors of Site Selection magazine selected the $3 billion Texas Instruments’ Project Emmitt, on which he was leader, as the Top Development Deal nationally of 2003. His economic development teams have been selected three times by Site Selection as one of the top 10 development groups in the U.S. in 1994, 1997 and 2004. Sproull was inducted into the Tech Titans Hall of Fame in 2010. He is also the recipient of the highest award bestowed by the UT-Dallas upon a non-alumnus for his support of the University.